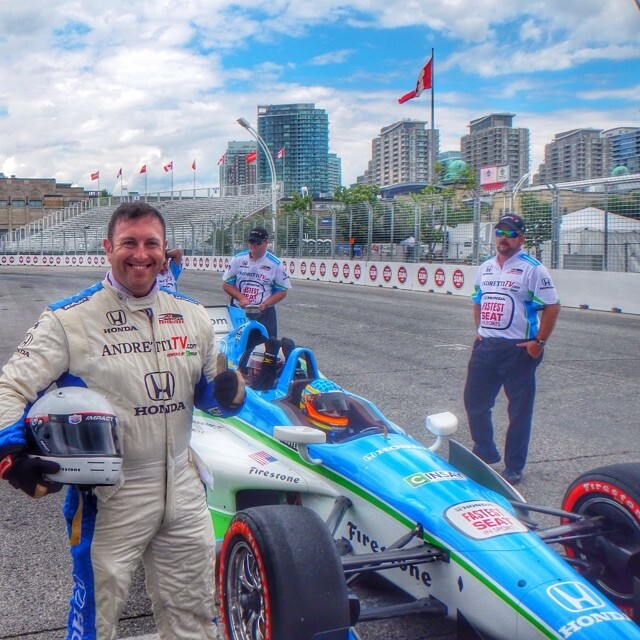 Going fast is a lot of fun, there is no doubt, but the best place to go fast is on the track and it's probably best to leave it to the professionals, like the ones that drive at the Honda Indy. The Honda Indy hasn't always been called the Honda Indy. In fact from 1986 to 2006 the race was called the Molson Indy Toronto and in 2006 it changed to the Molson Grand Prix of Toronto after it was purchased by the Champ Car World Series. In 2007, after Molson dropped their title sponsorship, Steelback Brewery signed a multi-year, multimillion-dollar deal to become the event’s title sponsor, renaming it the Steelback Grand Prix of Toronto. The unification of Champ Car and the Indy Racing League was announced on February 22, 2008, and the Grand Prix of Toronto's future was left in doubt. After attempts were made to preserve the race for 2008, it was confirmed on March, 2008, that the race had been cancelled. Later in May, 2008, Andretti Green Racing purchased the assets of the former Grand Prix of Toronto and on July 30, 2008, it was confirmed that the race would return to Toronto the following year. With more good news at the doorstep in September, 2008, Andretti Green Racing announced that it had signed a multi-year agreement with Honda Canada Inc. for the title sponsorship of the race, and since that sweet September day in 2009 the race was called the Honda Indy Toronto.